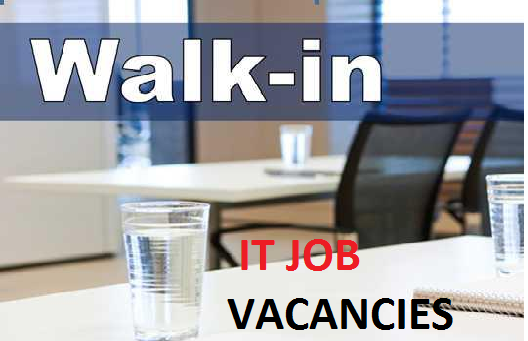 Listed here are the latest recruitment's in IT sector, There will be Notification regarding Walk-in drives and Off campus recruitment by various MNC's like TCS, Wipro, L&T, google, Mcafee, Yahoo, CTS, HP, HCL and more. Here you can find Job openings for Software developers, testers, S/W Engg trainees, Fresher IT jobs, Database admins, Oracle experts, Business analysts, BPO, Technical Associates, Desktop engineers, Hardware and networks technicians, Technical support Engineers, S/W engineers, project leaders & managers and more. Please Go through the Job list, read the detailed advertisement from the links given along with the post and then apply.Crozoom.com is not in any case, responsible for any consequences of you applying for a job through the openings listed on this site. It is your responsibility to verify before applying for the job. "; var item = "
Given below is the list of Job notifications in leading magazines and websites. You can find Job notification published in Employment news and other Government government and private sector company websites.